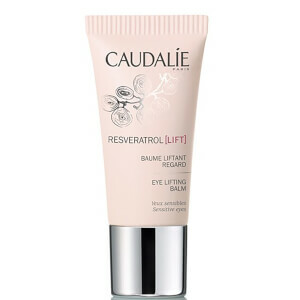 Rediscover your skin's youthful capacity with the Resveratrol Lift Eye Set from Caudalie. 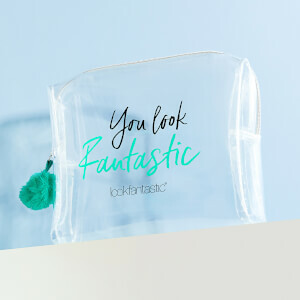 Housed in a gift box, the age-defying kit combines everything you need to define and plump facial contours, whilst nourishing and revitalising your complexion. Developed using the brand's advanced Vine Resveratrol and plumping Micro Hyaluronic Acids, the powerful anti-ageing treatment helps to minimise puffiness, dark circles and signs of fatigue, whilst smoothening the appearance of fine lines and wrinkles to reveal youthful-looking peepers. 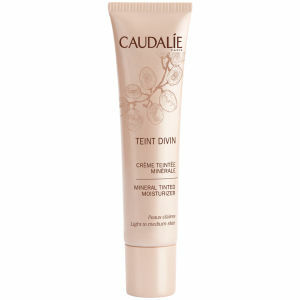 Suitable for sensitive eyes, you can experience rested, refreshed and hydrated skin. 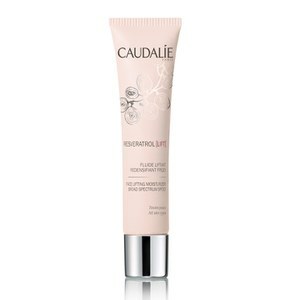 A weightless, silky formula that works to promote a smoother, firmer complexion without any sticky residue. Powered by Micro Hyaluronic Acids and a breakthrough patent of stabilised Vine Resveratrol, the powerful serum targets signs of ageing, whilst helping to define and refine facial contours for a plump appearance. Its ultra-hydrating texture blends effortlessly and can be worn alone or under makeup. Delivering multiple benefits, the light, nourishing formula absorbs instantly to soften the appearance of fine lines and wrinkles, whilst creating a plumping and firming effect to redefine facial contours. Harnessing the powers of Grape Seed Oil, Resveratrol and Hyaluronic Acid, the indulgent cream leaves skin smooth and youthful-looking without greasy residue. Balm: Aqua/Water/Eau, Glycerin*, Butylene Glycol*, Coco-Caprylate*, Isoamyl Laurate*, Albizia Julibrissin Bark Extract*, Polyacrylate Crosspolymer-6, Sodium Polyacrylate, Ethylhexylglycerin, Glycol Palmitate, Palmitoyl Grapevine Shoot Extract*, Tocopherol*, Caprylyl Glycol, Sorbitan Laurate*, Xanthan Gum, Picea Abies Wood Extract*, Benzyl Alcohol, Hydrolyzed Hyaluronic Acid, Carbomer, Hydroxyethylcellulose*, Acetyl Dipeptide-1 Cetyl Ester, Sodium Phytate*, Acrylates/C10-30 Alkyl Acrylate Crosspolymer, Hyaluronic Acid, Sodium Benzoate, Darutoside* (159/028) *Plant Origin. Serum: Aqua/Water/Eau, Glycerin*, Butylene Glycol, Glyceryl Stearate Citrate*, Hexyldecanol*, Hexyldecyl Laurate*, Squalane*, Tocopheryl Acetate*, Polyglyceryl-3 Stearate*, Palmitoyl Grapevine Shoot Extract*, Hydrogenated Lecithin*, Polyacrylate Crosspolymer-6, Caprylyl Glycol, Hydroxyethyl Acrylate/Sodium Acryloyldimethyl Taurate Copolymer, Ethylhexylglycerin, Parfum (Fragrance), Sorbitan Laurate*, Hydrolyzed Hyaluronic Acid , Sodium Dehydroacetate, Hyaluronic Acid, Hydroxyethylcellulose*, Acetyl Dipeptide-1 Cetyl Ester, Sodium Phytate*, Sodium Hydroxide, Tocopherol*, Alcohol*, Coumarin, Limonene, Linalool, Butylphenyl Methylpropional (165/017) *Plant Origin. Cream: Aqua/Water/Eau, Coco-Caprylate/Caprate*, Caprylic/Capric Triglyceride*, Octyldodecyl Myristate*, Glycerin*, Butyrospermum Parkii (Shea) Butter Extract*, Butylene Glycol, Cetearyl Alcohol*, C12-16 Alcohols*, Methyl Methacrylate Crosspolymer, Vitis Vinifera (Grape) Seed Oil*, Polymethyl Methacrylate, Cetearyl Glucoside*, Polyacrylate Crosspolymer-6, Ci 77891 (Titanium Dioxide), Hydrogenated Lecithin*, Palmitic Acid*, Parfum (Fragrance), Potassium Cetyl Phosphate, Palmitoyl Grapevine Shoot Extract*, Caprylyl Glycol, Ci 77019 (Mica), Tocopherol*, Helianthus Annuus (Sunflower) Seed Oil*, Sorbitan Laurate*, Xanthan Gum, Hydrolyzed Hyaluronic Acid, Hydroxyethylcellulose*, Acetyl Dipeptide-1 Cetyl Ester, Hyaluronic Acid, Sodium Phytate*, Dehydroacetic Acid, Silica, Sodium Hydroxide, Tin Oxide, Alcohol*, Citric Acid*, Benzyl Alcohol , Butylphenyl Methylpropional, Coumarin, Limonene, Linalool (161/048) *Plant Origin.